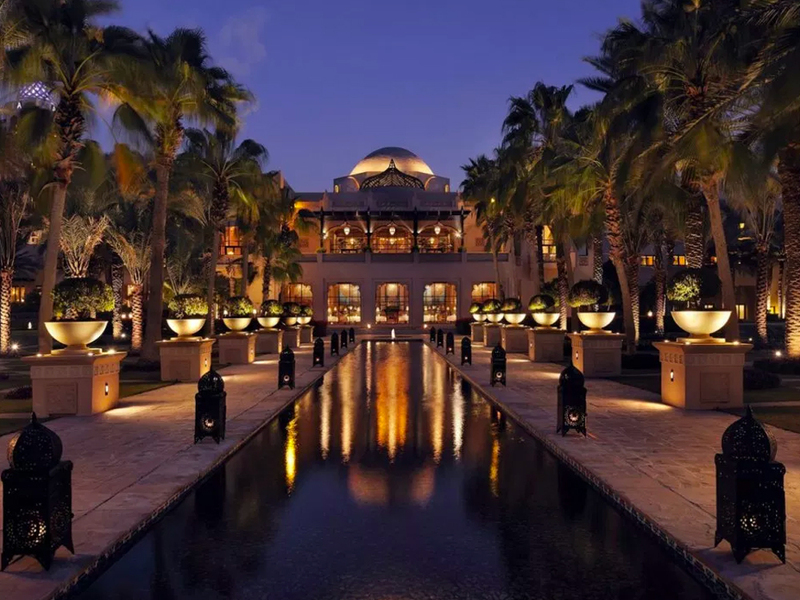 Saniservice helps some of the world’s best hospitality brands maintain the rigorous health and safety standards essential to their business and also cut energy costs along the way. We have designed our hotel HVAC cleaning process around the needs of your guests and your housekeeping staff. 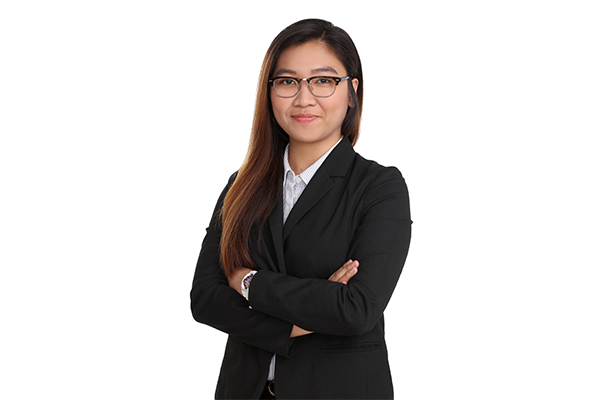 Every process and tool is thought out and crafted to minimize disruption to operations and the guest experience. Our teams can clean over 40 units a day, all before your check-ins come knocking. Our highly organized process is both thorough and fast-paced, with all rooms turned over to your staff before check-in time. Our in-room AC cleaning process is the quietest and most private service of its kind. 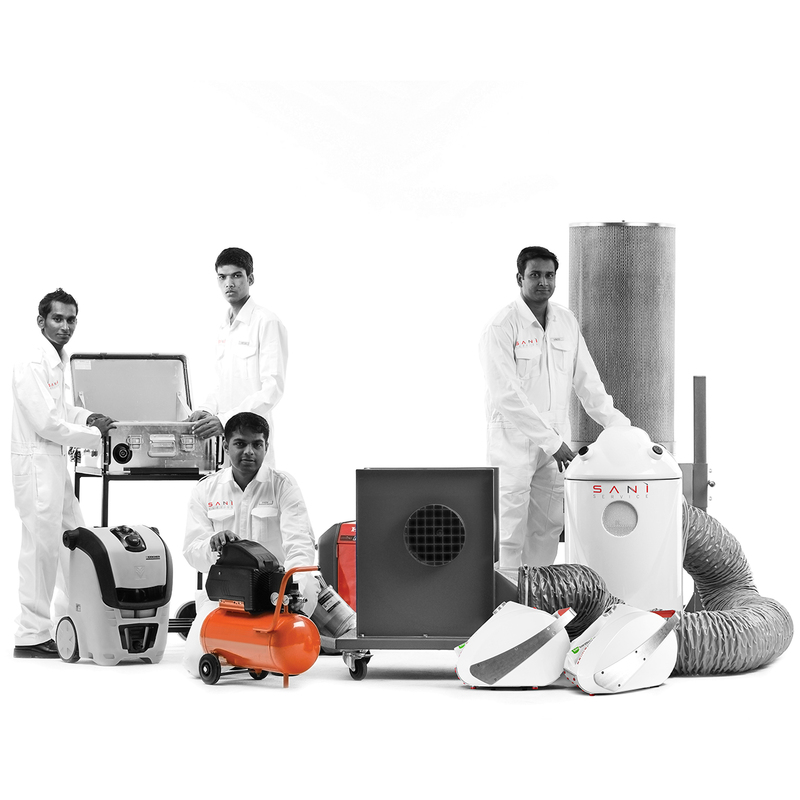 Our mobile equipment fits entirely within the room and is designed to reduce noise in mind. In a continuous sweep, your HVAC units are dismantled, cleaned, reassembled, and tested. Moving down to tracking each unit and record any issues with your equipment. 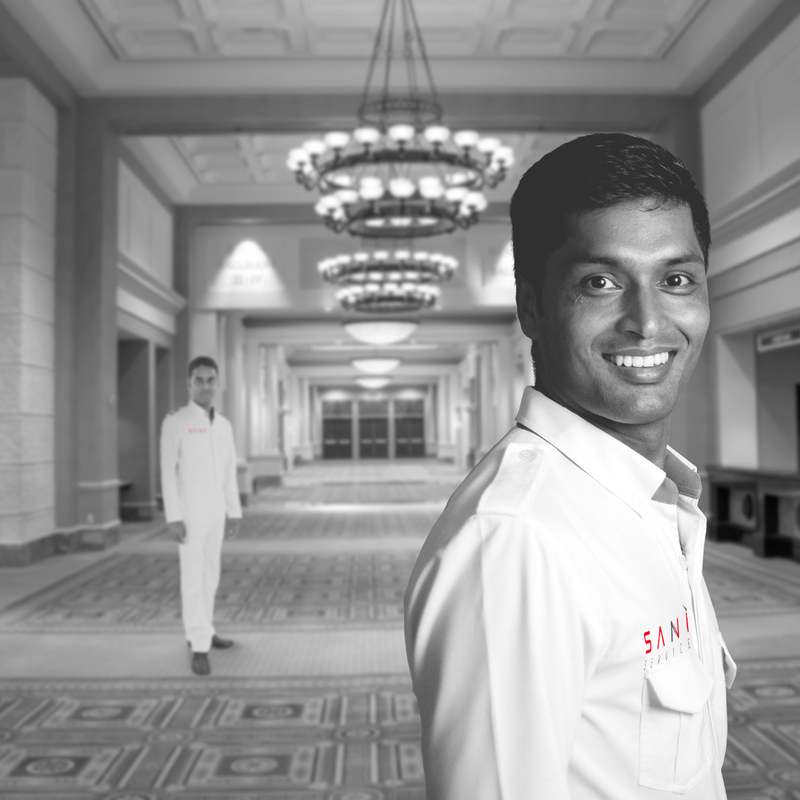 With Saniservice’s optimized processes, your guests won’t even realize that scheduled sanitization is taking place. 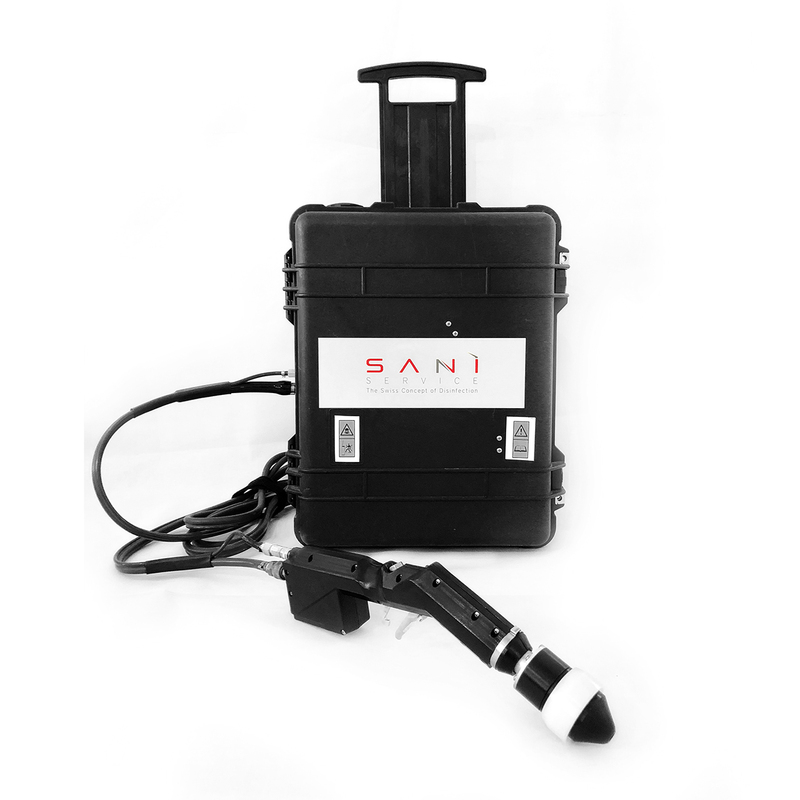 Saniservice uses eco-friendly medical-grade Swiss technology to completely disinfect and sanitize sensitive sites. Our biosanitizer is 100% eco-friendly and kills 99.9999% of bacteria on contact. Saniservice has designed its Sani360 surface disinfection technology for nurseries in particular. Electrostatic sprayers are used to evenly distribute microscopic disinfectant droplets to coat surfaces, toys, and other things in a room. Our dispersal technology guarantees excellent coverage for better and longer-lasting protection against germs. The Sani360 service is available on weekly and monthly schedules. Our teams have helped hundreds of workplaces improve productivity, reduce absenteeism and create better health for their employees. We are experienced in operating within busy, high-traffic environments to deliver long-lasting disinfection for better air quality. Children are most at risk from airborne contaminants and infectious agents. Saniservice has created a roster of specially-designed solutions to clean, sanitize and disinfect nurseries and schools to guarantee better health. Regularly disinfecting and sanitizing HVAC systems is very important to maintaining safety in healthcare. Saniservice helps the region’s best healthcare providers safeguard patient health by keeping airborne particles in check.